2. After you've posted your blog, sign the Mr. Linky below. Have fun exploring the other links as well! Please only sign in if you're participating and sharing pics. Hopefully this will make us look at things through fresh eyes throughout the week! 10 years ago God's fingerprints were all over this union. We both knew within weeks of meeting each other that this was God's plan and never doubted it. 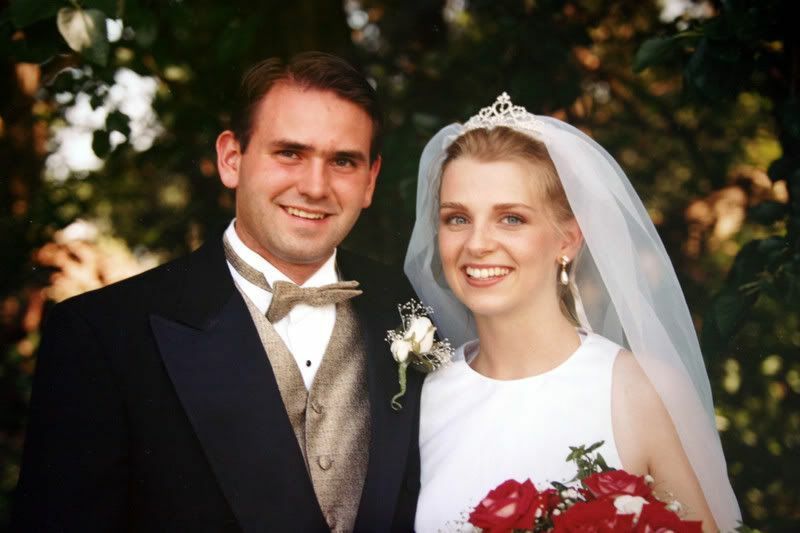 We've had 10 blissful years and God willing, there will be at least 60 or so more! Happy Anniversary! How handsome and beautiful you are, and how happy you look! God bless you. What a beautiful fingerprint and one that is so blessed..Happy Anniversary to you both..
Really neither of you have aged at all. Hope you have a wonderful anniversary. Awwww, how cute are you? You look almost exactly the same today! How wonderful - happy anniversary! Oh, I missed this one.....I should have named my Friday's post Fingerprint Friday though, because it was my son's 7th b-day.......oh well, NEXT WEEK!! Anyways, congrats on the 10 years! That's awesome!